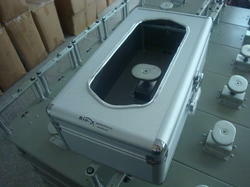 Bio-X is leading manufacturer and distributors of automatic shoe cover dispenser in India. We manufacture shoe cover dispenser which finds application in houses, factories, hospitals, hotels, clean rooms, labs, museums, airport buses, show homes and religious activity venues. This easy to use dispenser has a fine mechanical structure that works without any electrical source. Moreover, it is a rapid and safe sanitary product, which is used for the protection of hygienic environments and restricting the trouble of removing shoes or putting on shoe covers. Besides being extremely convenient to use, it adopts an updated mechanical structure design with automatic controlling functions, with strong and steady dispenser processing capacity. The machine is more efficient and more convenient than wearing the shoe cover by hands. It is very easy to operate and offers a high quality guarantee with low cost maintenance.. 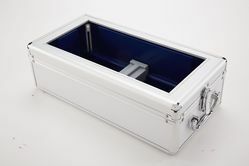 The cover is made of Aluminium Alloy, with the inside frame made of stainless steel, for steady and long time use. For its superior quality and optimum performance, our shoe cover dispensers are highly popular in domestic and global market. 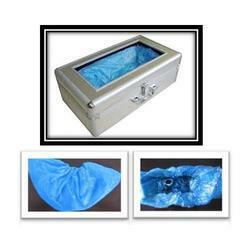 The shoe covers are available in PE which are ideal for medical usages. We would like to introduce ourselves as the suppliers of automatic shoe cover dispenser. We are currently exporting our view boxes to Europe, Egypt, Australia, Singapore, Sri Lanka and other South East Asian countries. We are pleased to introduce an effective and innovative solution to keep the floor clean. Besides being extremely convenient to use, it adopts an updated mechanical structure design with automatic controlling functions, with strong and steady dispenser processing capacity. 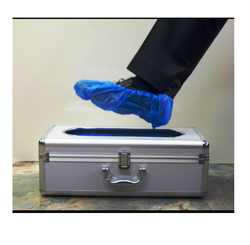 The machine is more efficient and more convenient than wearing the shoe cover by hands. It is very easy to operate and offers a high-quality guarantee with low-cost maintenance. 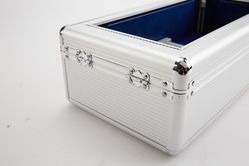 The cover is made of Aluminium Alloy, with the inside frame made of stainless steel, for steady and longtime use. For its superior quality and optimum performance, our shoe cover dispensers are highly popular in the domestic and global market. The shoe covers are available in PE which is ideal for medical usages. We would like to introduce ourselves as the suppliers of automatic show cover dispenser. We are currently exporting our view boxes to Europe, Egypt, Australia, Singapore, Sri Lanka and other South East Asian countries. We are pleased to introduce an effectively and innovative solution to keep the floor clean. Besides being extremely convenient to use, it adopts an updated mechanical structure design with automatic controlling functions, with strong and steady dispenser processing capacity. The machine is more efficient and more convenient than wearing the shoe cover by hands. It is very easy to operate and offers a high quality guarantee with low cost maintenance.. 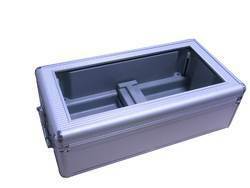 The cover is made of Aluminium Alloy, with the inside frame made of stainless steel, for steady and long time use. For its superior quality and optimum performance, our shoe cover dispensers are highly popular in domestic and global market. The shoe covers are available in PE which are ideal for medical usages. 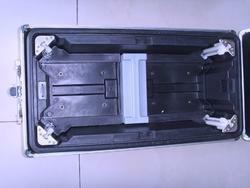 We are the prominent manufacturers and exporters of Shoe Cover Dispenser. Manufactured using high quality metals and alloys, our offered range of shoe cover dispensers is highly durable. Easy to use, this offered dispenser has been able to garner immense appreciations among our prestigious clients. We introduce Mechanical Shoe Cover Dispenser that helps keeping the floor clean. it is simple to use and does not need electrical source. User just need to step into the machine and press lightly downwards and a shoe cover will automatically wrap the shoe. It can be widely used in houses, hospitals, hotels, factories, labs, clean rooms, museums, show. Offering an excellent appearance, this offered dispenser is highly demanded. We are the manufacturer and supplier of Automatic Shoe Cover Machine.This product can be used in hospitals and various industries, our offered range of automatic shoe covers has been able to amass praises from clients spread across the nation. We are the manufacturer and supplier of Shoe Cover Wrapping Machine that is designed to reduce the risk of injuries and accidents. Strictly checked on various parameters by the team of our quality controllers, our offered range of automatic shoe covers offers a reliable performance. Widely used in hospitals and various industries, our offered range of automatic shoe covers has been able to amass praises from clients spread across the nation. 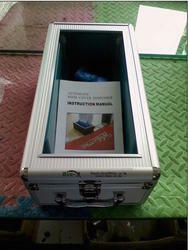 We are the prominent manufacturers and exporters of Shoe Cover Machine. shoe cover dispenser is a rapid and safe sanitary product for the protection of hygienic environments. With fine mechanical structure, it is simple to use and does not need electrical source. User just need to step into the machine and press lightly downwards and a shoe cover will automatically wrap the shoe. 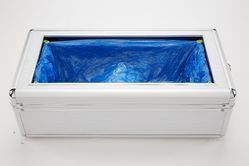 Our Shoe Cover Dispenser can be widely used in houses, hospitals, hotels, factories, labs, clean rooms, museums, show home, airport buses and religious activity venues. Our offered range of shoe cover dispensers is highly durable. Easy to use, this offered Shoe Cover dispenser has been able to garner immense appreciations among our prestigious clients. 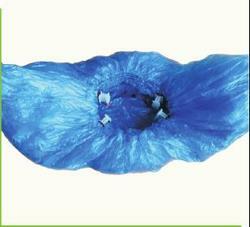 We are offering a wide range of Shoe Cover for shoe cover dispenser.